But honestly I am getting so sick of deflecting the casual questions. Are you ready for Christmas? Got your tree up? Have you done all your Christmas shopping? What are you doing for Christmas? Got a big Christmas planned? Spending time with your family for Christmas this year? This entry was posted in Childhood, Everything, Mental Health and tagged abuse, anxiety, Barking Back, childhood, Christmas, depression, family, stress on 24/12/2015 by nissetje. 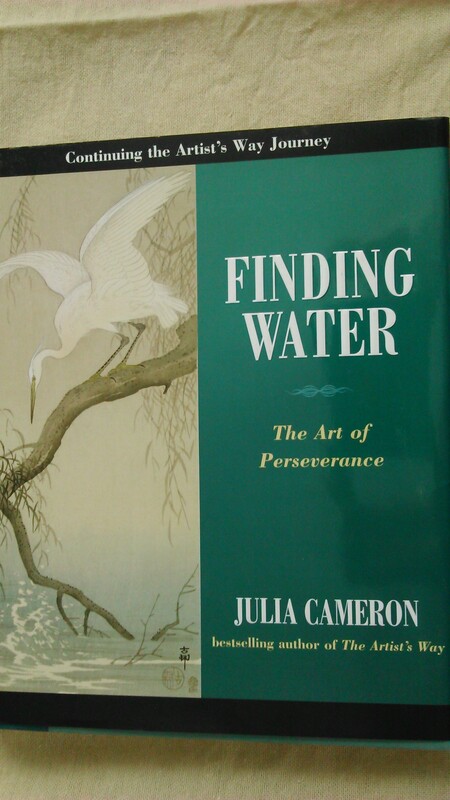 The cover of Finding Water by Julia Cameron. Many years ago, I read The Artist’s Way. I remember liking it, so I had hoped to like this book (the third in the series) just as much. This entry was posted in Everything, Reading Books and tagged art, artist, book review, books, creativity, depression, mental health, nonfiction, rant, writing on 16/07/2015 by nissetje.